Baby Bear: 1 bed / 1 bath. Sleeps 6. 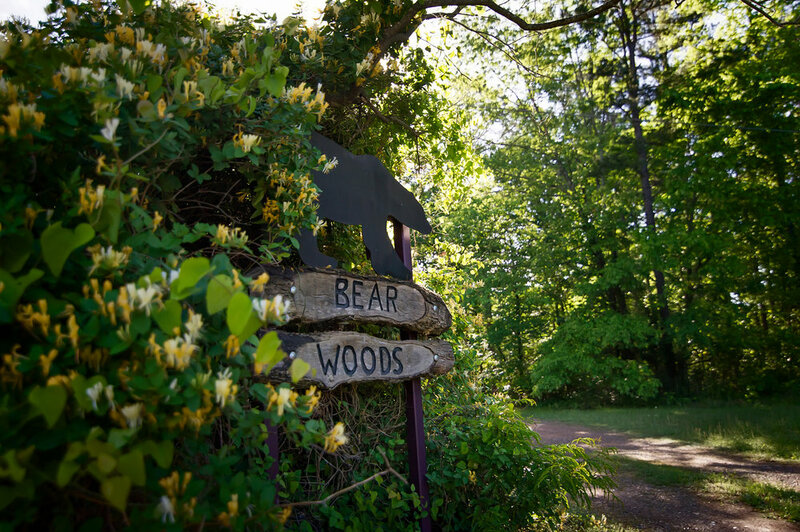 Baby Bear cabin is part of the Bearwoods cabin group. 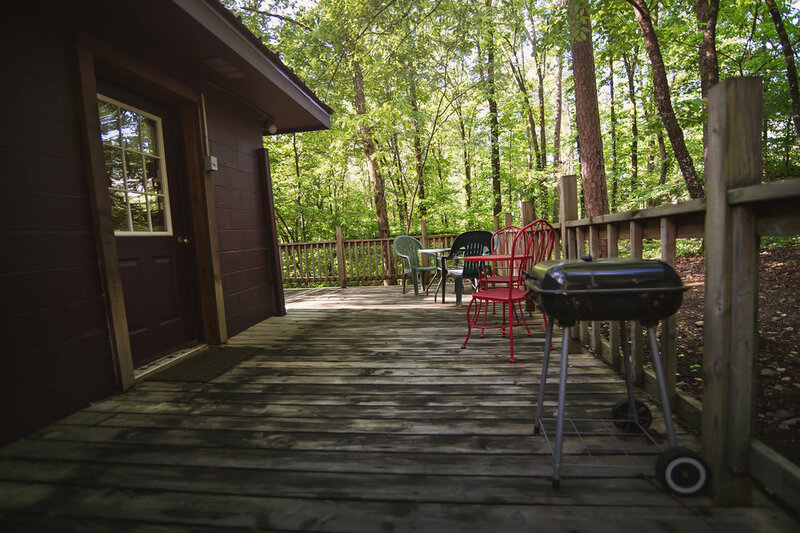 Sitting on 12 acres bordering the national forest, these three 1 bedroom cabins enjoy peaceful surroundings while still only being minutes from the Park and Lake. The cabins can be rented individually or as a group. 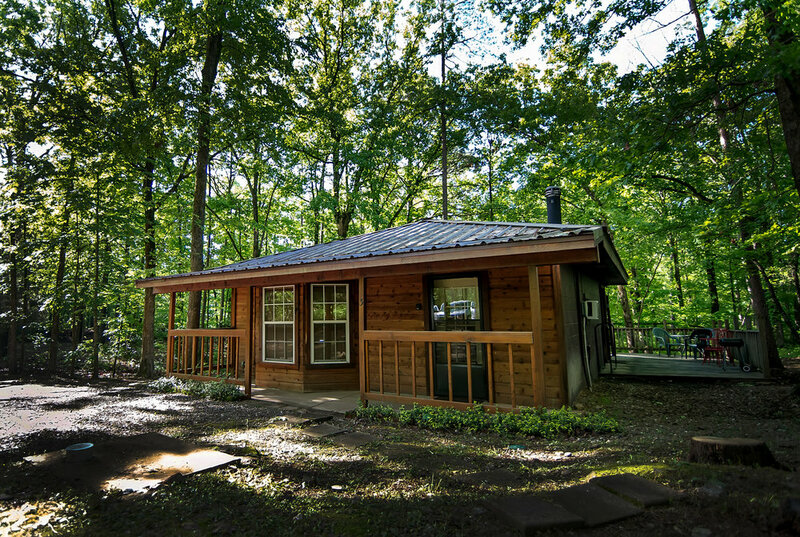 Baby Bear is a roomy 1 bedroom cabin with a covered front porch and a private deck. Perfect for either a couple or a small family, this is the largest of the Bearwood cabins. Baby Bear is able to sleep up to six guests on a roomy King size bed and two full size futons. Everyone loves the large, tile walk-in shower. The open floor plan makes hanging out a breeze, especially when food is involved! 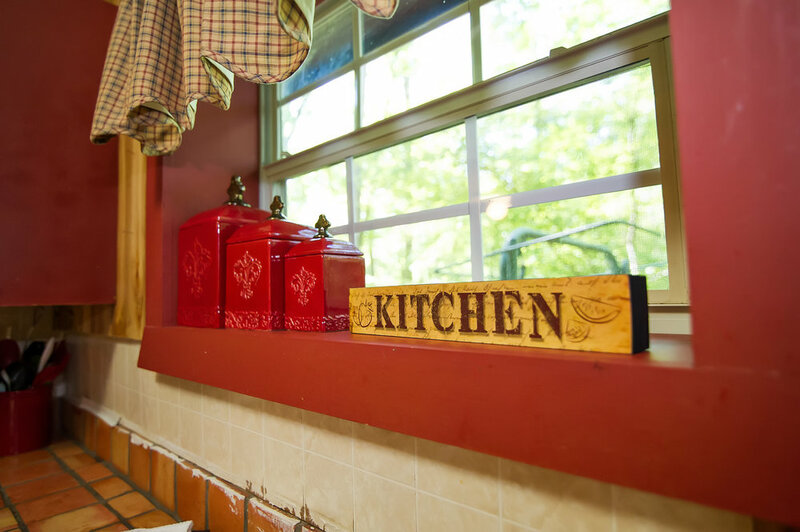 With a full service ready to cook kitchen, meal time is a snap! But when the weather is good, you will find yourself drawn to the deck for grilling and relaxing. Don’t forget to take a turn around the fire pit – there is no place better to tell and retell, and probably laugh about, the adventures of the day. Thinking about going out on the lake or taking ATVs out to explore? A large level circle drive makes Baby Bear a great cabin to pull a boat or trailer through.